Iran is planning to raise crude oil production from its offshore fields in the Persian Gulf by 40 percent by 2020, a senior oil manager says, Press TV reported. Mahmoud Zirakchian-Zadeh, managing director of the Iranian Offshore Oil Company (IOOC), said on Wednesday that USD29 billion worth of agreements have been signed in the past couple of years for the development of 17 offshore hydrocarbon fields Iran shares with its neighbors in the Persian Gulf. 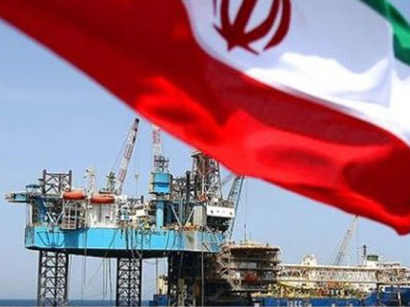 The official further noted that the Iranian oil company plans to produce 10 billion cubic feet per day of natural gas, increase oil recovery from its oil fields, and finalize oil field development during the fifth and sixth five-year economic development plans (March 2011-2020). Iran's total in-place oil reserves have been estimated to be more than 560 billion barrels, with about 140 billion barrels of recoverable oil. Moreover, heavy and extra-heavy varieties of crude oil account for roughly 70-100 billion barrels of the total reserves.